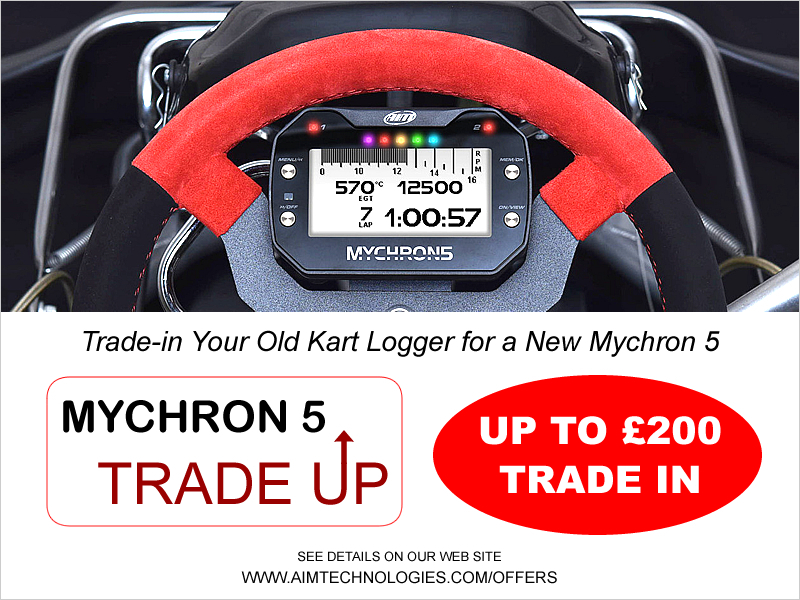 We are currently offering a trade-in deal for your old kart logger for a brand new Mychron 5. Send your part exchange item with the form to us. We will appraise your item/s and give you a call. Below is a list of data systems we except for part exchange and the amount we will contribute towards them.